Snohetta were awarded the winning title for their Houston Central Station in Texas by an enthustiastic jury. 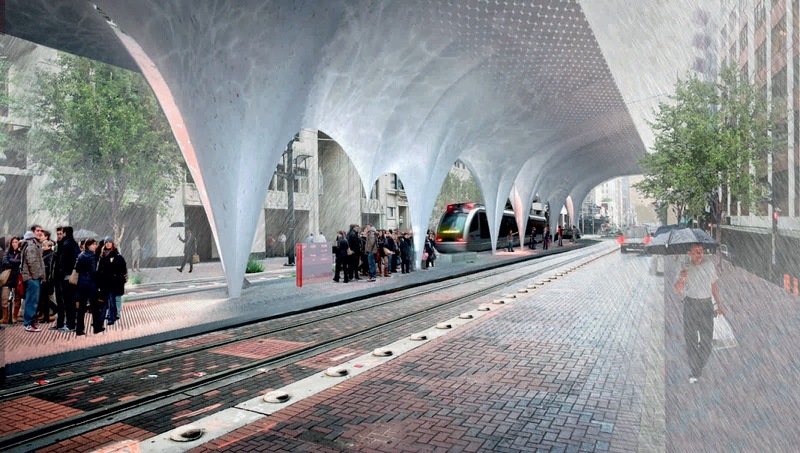 the fact that Houston has a large amount of annual rainfall was the backbone of Snohetta ’s proposal. 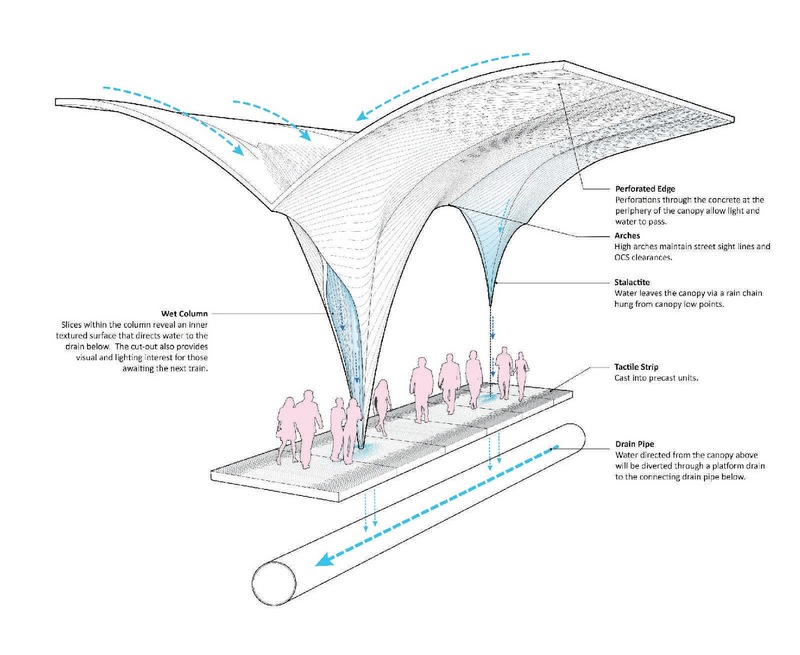 Snohettas concept involves an ingenious canopy at the exiting station which harnesses Houston’s heavy rainfall and turns it into a positive attribute; sheltering passengers from the wind and rain whilst supplying them with an aesthetically pleasing water feature. 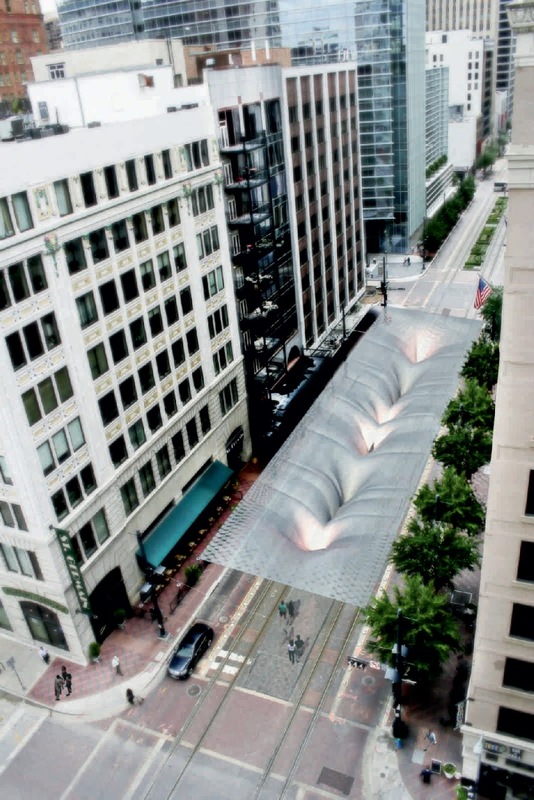 The design sought to incorporate the concept of water by channeling rain down concrete spouts, thereby allowing users to interact with and experience water. The elegant arching structure contains within columns slices that direct the water to the drain pipes below. 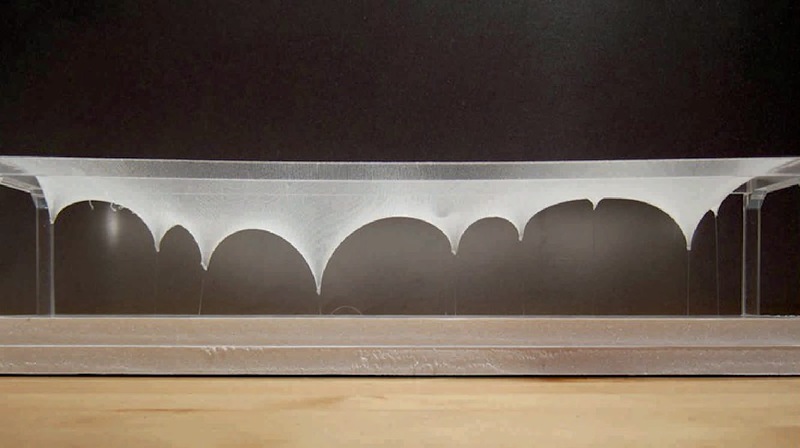 the cut-outs also provide visual and lighting interest for those awaiting the next train. Though visually engaging the interaction between users and water might present some practical problems: the areas of the platform where water is directed would have to be avoided, causing congestion and removing valuable open space on an already narrow platform.